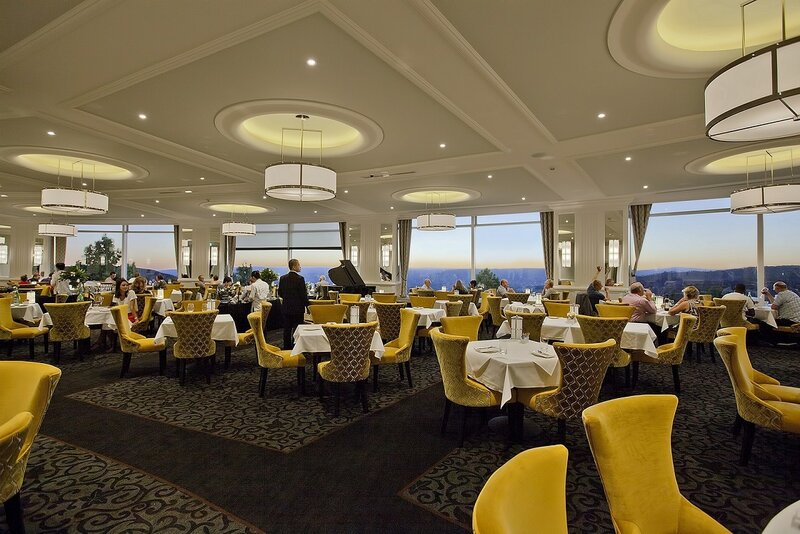 With staff from around the world welcoming waves of international tourists in a distinctly Australian location, the Hydro Majestic also represents the modern face and cuisine of Australia – as it has for more than a century. 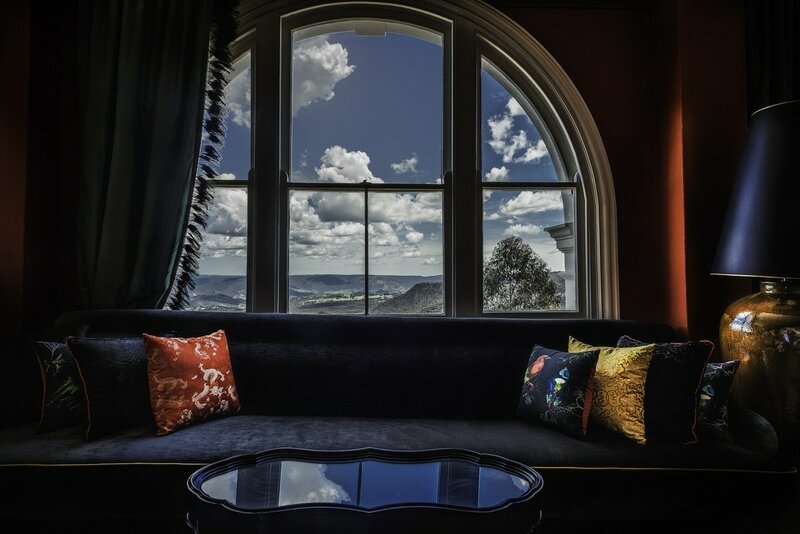 The status of the original Blue Mountains party palace as the grandest of the grand hotel in the region was restored when current owner Escarpment Group unveiled its $35 million refurbishment in October 2014. 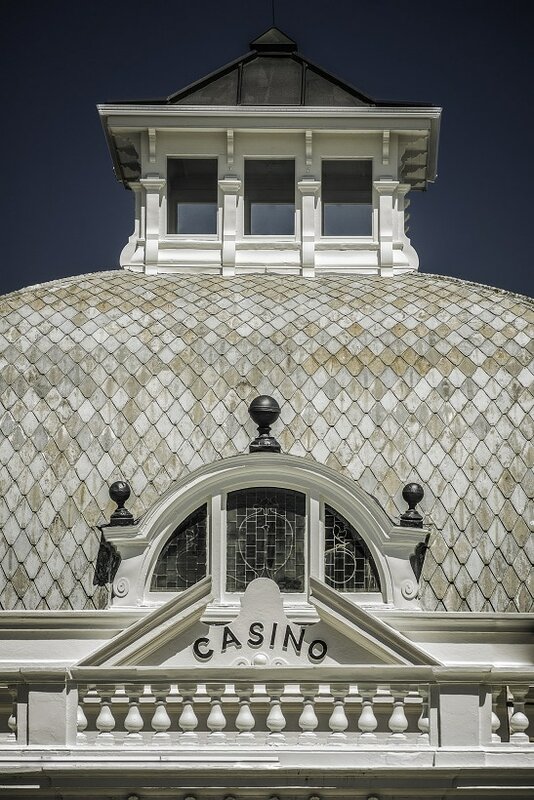 The spectacular Casino Lobby was stripped back to show off that stupendous dome prefabricated in Chicago and imported by original Hydro Majestic owner, department store doyenne Mark Foy. The Wintergarden Restaurant where one takes high tea (traditional or Eastern) is bedecked in understated gold and white elegance with enormous windows giving a breathtaking view over the Megalong Valley. There’s the Majestic Ballroom with its beautiful vaulted ceiling, the revamped Boiler House Café in the old pump house and the sophistication of black and chrome in the Belgravia accommodation lounge. 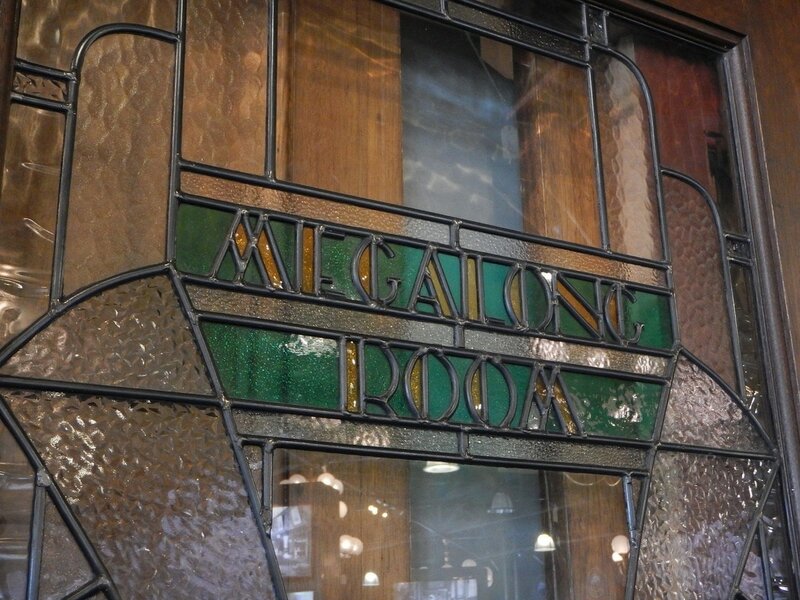 But the best way to appreciate the full magnificence of the Hydro Majestic, the building, the history and the gob-smackingly gorgeous location on the edge of the escarpment, is to stroll along the (in)famous Cat’s Alley hallway, cocktail in hand, and watch the sunset over the Megalong Valley. The golden tendrils seep down the blood red walls, lighting up the peacock feathers and richly furbished lounges, and bring the original artworks of blood sports to life. Foy, was a visionary, an ambitious and remarkable one, creating the hotel on a mountain top against all odds. Soon the fortunate, the famous, the fabulous, even the infamous, flocked to the Hydro Majestic from around the globe. With regular festivals and events including the Roaring 20s Festival in February, Escarpment Group has returned the flounce to the old girl’s skirt so the Hydro Majestic is once again the most flamboyant showgirl of Australia’s first tourist destination. Dishes such as Creole-style braised short rib, southern grits, collard greens and corn tamarillo salsa obviously originated from distant shores. However, the ingredients were sourced from a 100-mile radius around the hotel. Rounding off the gastronomic event with lamingtons was the shared food link to Australia. 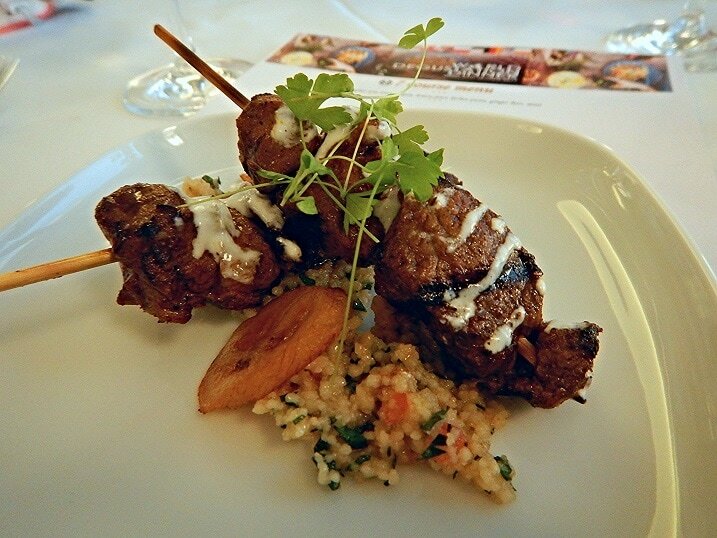 It could be said that the Hydro Majestic represents the modern face and cuisine of Australia – as it has for more than a century. 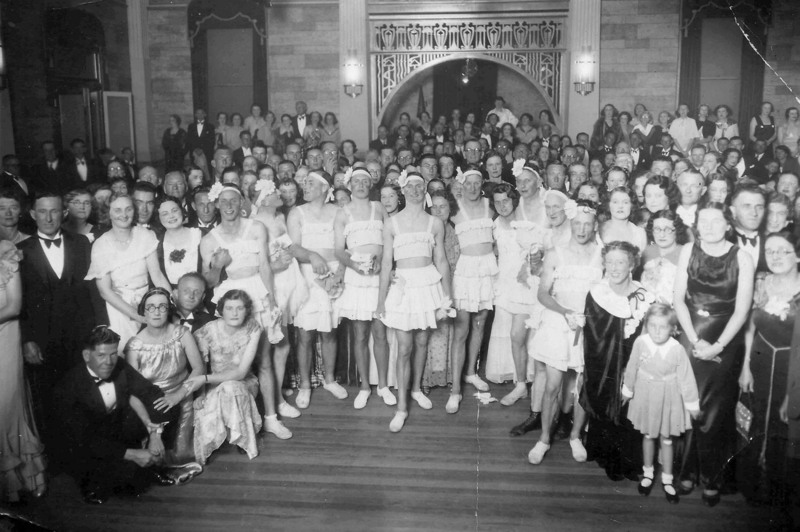 Escarpment Group general manager Ralf Bruegger said: ``The Hydro Majestic has always embraced cultural diversity, not because its first owner Mark Foy was politically correct but because he genuinely loved people of all races, their culture, art and food – just as we do today. With the means to satisfy his every whim, the well-travelled Foy had the famous hotel dome pre-fabricated in Chicago and shipped to Australia. Dr George Baur of the Shoeneck health spa in Switzerland was hired to devise and supervise a program of diets and weird and wonderful treatments. Turkish coffee at the Hydro Majestic was served by Turkish waiters, Chinese tea by Chinese waiters. Louie (``Charlie’’) Goh Mong was just one of many Chinese migrants who reverted to their traditional skills post-Bathurst gold rush era around the turn of the 20th century and worked as butlers, cooks, nannies, maids and produce suppliers to inns, guesthouses and manor houses across the Blue Mountains during that time. Charlie worked as a cook at Foy’s Sydney home and managed the mayhem at the Hydro Majestic for 35 years. Today, staff from 16 language groups work at the Hydro Majestic including English, French, Canadian, Russian, Chinese (all dialects), Portuguese, Vietnamese, Spanish, Italian, Indonesian, Thai and more. Mr Bruegger is German and head chef Mate Herceg has a Croatian background. Go to www.hydromajestic.com.au or phone (02) 4782 6885 for bookings and more information about the Hydro Majestic Hotel.